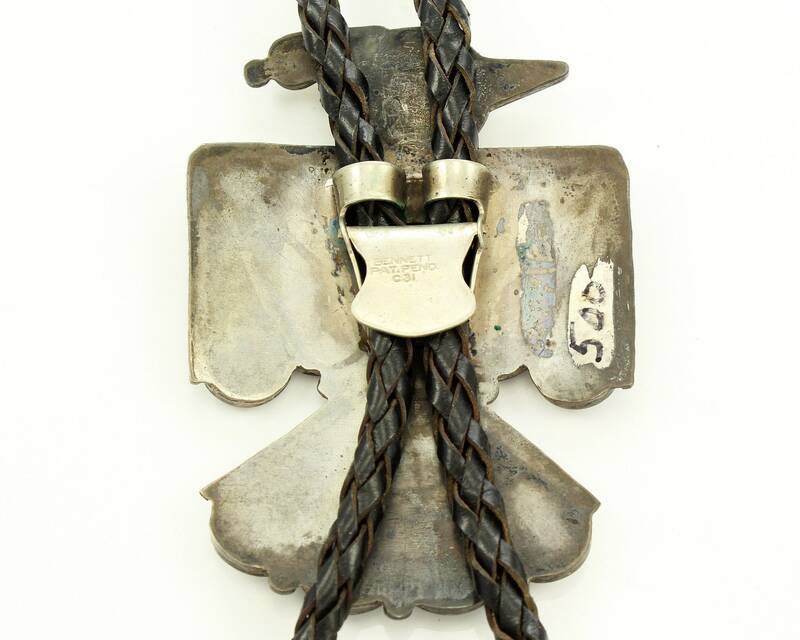 Old Pawn Thunderbird Bolo Tie Sterling Silver Mother of Pearl Shell Decorated Aglets. 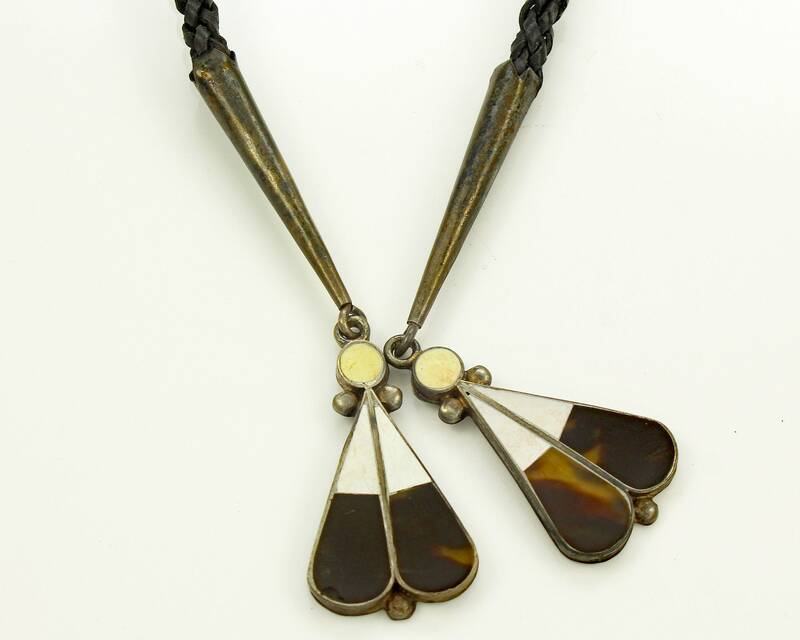 This over sized bolo tie has a central decoration of a Thunderbird or peyote bird decorated with inlaid golden and white mother of pearl and brown shell. 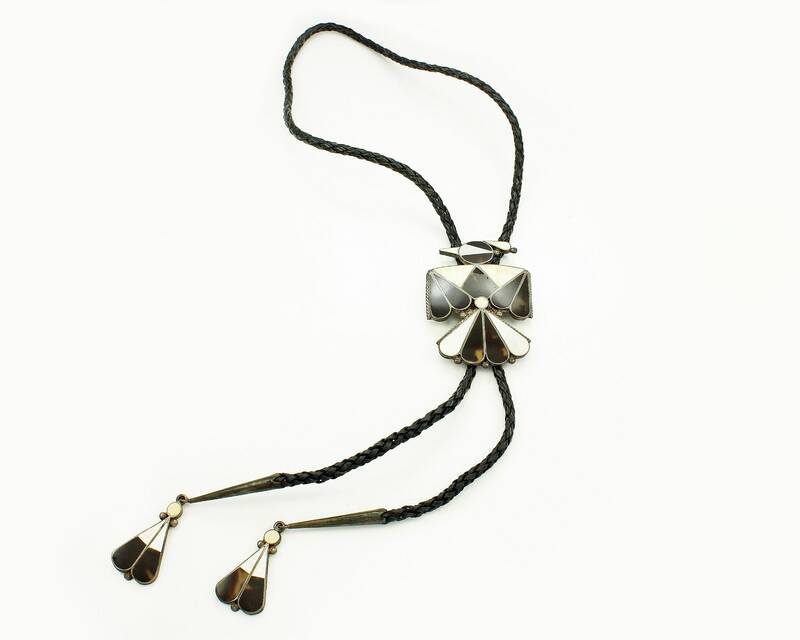 The braided brown leather cord is decorated with feather shaped aglets, also inlaid with shell. The thunderbird measures 3 inches tall and 2 1/8 inch wide. 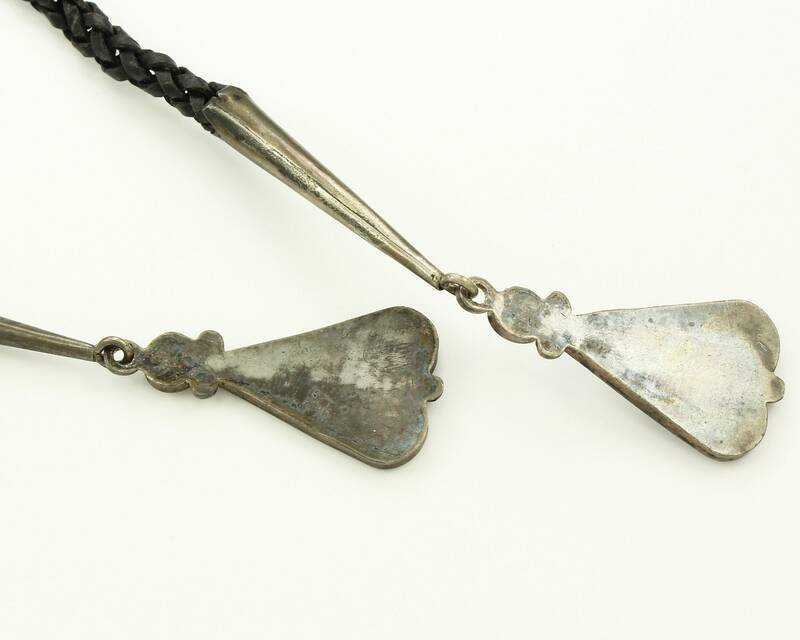 Each aglet measures 3 1/2 inches long, including the sterling cone tips. The total length of the bolo is 40 inches, including the tips. Finished with a Bennett clasp on the reverse. In Very Good Vintage Condition, with scratches to the surface. 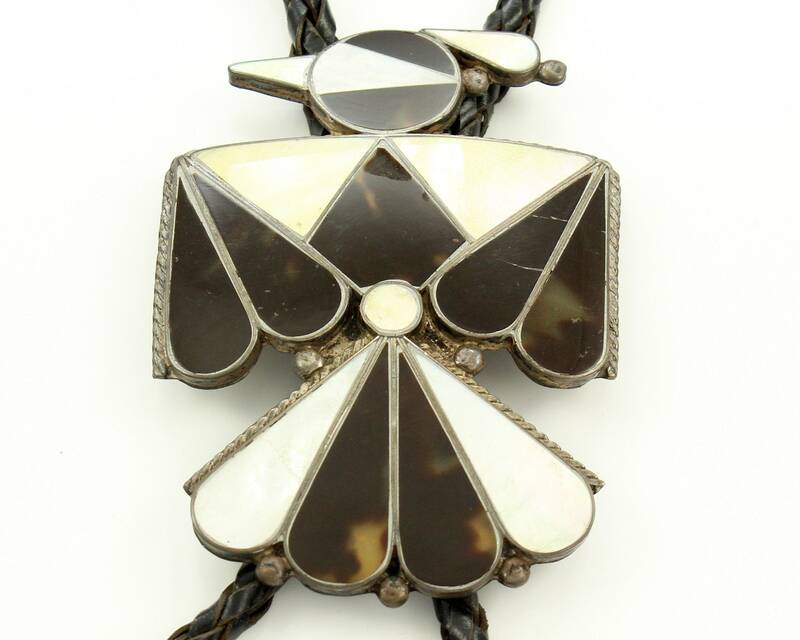 The bolo was never worn. CONDITION: In very good, unworn vintage condition. There are some scuffs and scratches to the surface. MEASUREMENTS: The thunderbird measures 3" x 2 1/8" and the total length of the bolo (including tips) is 40"